What makes Flanders a strategic location at the heart of Europe’s economic power base. Why Flanders is a trade power house, highly globalized, a foreign direct investment frontrunner, etc. Setting up a branch or subsidiary in Flanders? It’s quick and easy with these step-by-step guides. Information about business entities, customs legislation, IP protection, environmental regulations, etc. Discover Flanders’ tax system, financial benefits, R&D tax breaks and incentives, etc. Find out about self-funding, win-win loans, crowdfunding, bank and non-bank financing, etc. in Flanders. Find out about social security, wage optimization, flexible labor, labor productivity and cost in Flanders. Flanders’ top-notch education system and multilingual, multitalented and highly productive workforce. Discover Flanders’ research centers and institutes in science and technology. Get to know Flanders’ seaports, airports, inland waterways, and dense network of roads and railways. Get a nuanced picture of electricity and natural gas costs in Flanders. 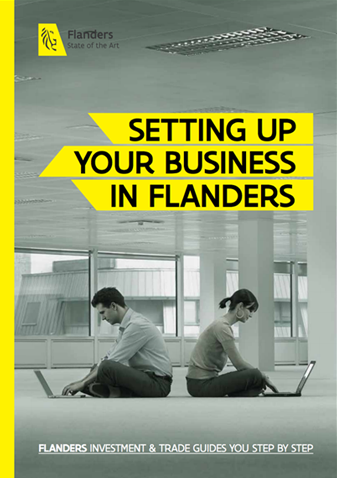 Find out about the competitive prices to buy, rent and build for your business in Flanders. What Flanders offers in terms of healthcare, education, culture, leisure, and standard and cost of living. Why Flanders is a popular expat destination and relocating to the region is so easy.